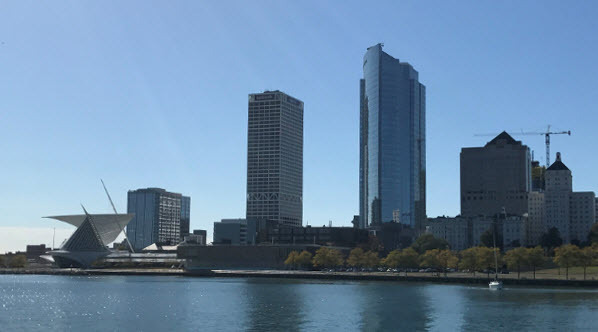 Whether you are visiting Milwaukee for the first time or are a repeat visitor, there is much to see and do—and yes, eat and drink—while you are in town for the MAALL, LLAW, MichALL, MALL, and CALL Joint Annual Meeting. From breweries and distilleries to architecture and museums, including the Milwaukee Art Museum with its Calatrava-designed Quadracci Pavilion (just blocks from the hotel) and the Harley-Davidson Museum, opportunities to keep busy before and after conference activities are varied. The conference overlaps Milwaukee’s Gallery Night & Day, described as “Milwaukee's two-day premier art event for both the experienced art connoisseur and most beginning admirer.” Learn more at http://historicthirdward.org/events/gallerynight.php. Shuttle transportation to and from the Law School for Saturday’s sessions will be available. Flying into Milwaukee? Consider the GO Riteway Shuttle Service. Book online at https://www.goriteway.com/ or call 1-800-236-5450. GO Riteway recommends making reservations in advance. One-way travel to or from the Marriott or Marquette should be about $15. Estimated cab fare from the airport to the hotel is $25 (one way). Uber and Lyft both operate from the airport, as well, and the Milwaukee County Transit System connects the airport to downtown by bus. For more information, view Ground Transportation options on the the airport’s website. Taking the train to Milwaukee? The downtown Intermodal Station is less than one mile from the hotel.